I am not a fan of Forbes, probably because I did not know what they really did. I only knew Forbes for the list of billionaires which they publish yearly. I wasn’t particularly impressed with their focus on wealth and people’s fortune, which I think leads to unnecessary curiosity and inflamed avarice in people. Recently, I came across an article published by Forbes, which made me realise they had a magazine and their magazine also has sections like “Women@Forbes, Mentoring Moments”. Mentoring Moments is a series of WOW-you-need-to-know-these stories from successful women of different generations. In its 33th series, Jayne Juvan, a partner at Roetzel & Andress, LPA, was the subject of discussion. It is impressive and indeed surprising that Jayne Juvan did not choose to speak of her career, nor of her wealth. On Forbes, she decided to talk about her pregnancy. This story, and even the way I came across it, is both authentic and insightful. This story is surprising, because the modern world is usually busy telling women that pregnancy is a big clog on their career, and that if they want to compete and to be “as relevant as men” they have to be like men — by not having children. This great lie has actually destroyed the lives of many women, who, rather than embracing their womanhood, suppressed their femininity and tried to become like men, thereby making them losers at both ends. Jayne Juvan bought the lie of the radical feminists and consciously concentrated on her career; but her life changed when she met Dolly Lenz, a prominent luxury real estate agent in New York City. Jayne’s conversation with Dolly led to a period of intense soul searching. 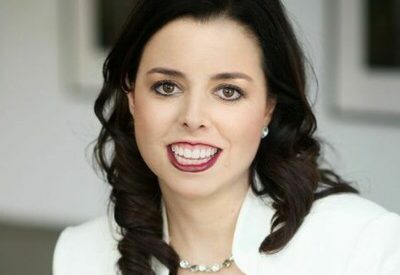 Jayne said that she questioned whether, as founder of her firm’s women’s initiative, she could be a true role model for other young women, had she decided to forgo a family for purely professional reasons. Perhaps, many women, like Jayne Juvan, may need to engage in an intense “soul searching”; they might then discountenance the idea of seeing womanhood (and motherhood) as a waste of time, economically worthless and socially disvalued enterprises. G.D Anderson said that “feminism isn’t about making women stronger. Women are already strong. It’s about changing the way the world perceives that strength”. Women were not created to do everything a man can do; indeed, they don’t need to do all that to be treated with dignity. Women are created to do everything a man cannot do. We’ve always known that pregnancy is women’s greatest, most miraculous prerogative. Jayne Juvan further confirmed it on Forbes.